RAREFORM continues to build its strong partnership with marketing agency, Versa Marketing, through the AvantLink affiliate network. RAREFORM creates unique, eco-friendly products tailor-made with the outdoor enthusiast in mind. From surfboard and stand up paddle board bags to iPad cases and wallets, they continue to create products for everything and everyone. Their products come from upcycled billboards made of heavy duty, water-proof, and mildew proof vinyl making them the perfect combination of materials for their bags. Their backpacks make up a significant amount of their current products, and with two different styles and an infinite amount of colors, your options are limitless! The box collection combines bold colors and contrasting materials giving the backpacks a fresh playful appeal and more freedom for personal expression. These bags take on the ever-popular timeless backpack design. These backpacks feature RAREFORM’S signature billboard material on the front pocket while the rest of the pack is fully lined with a grey nylon fabric. 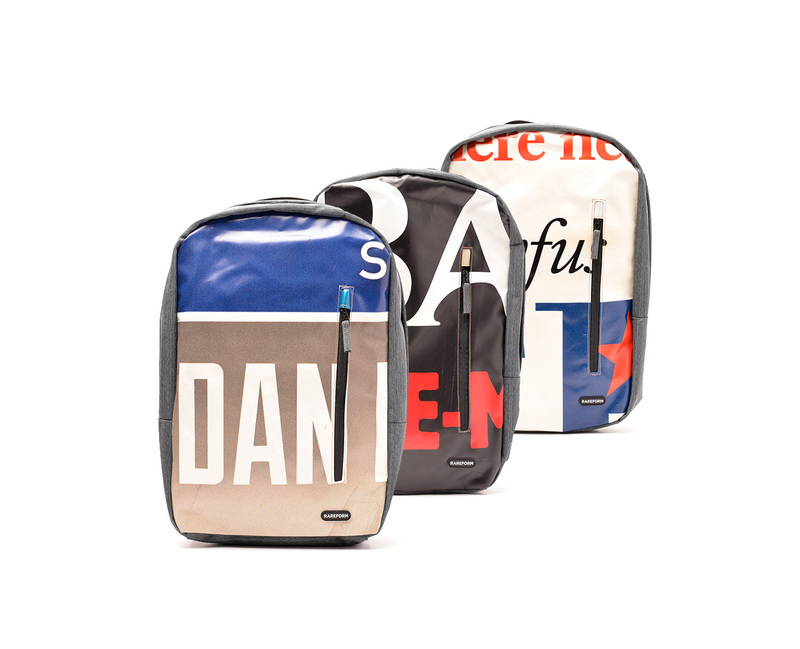 These packs are also created with internal 15” laptop sleeve pockets as well as media pockets. The classic backpack is designed for individuals who want to be unique yet functional. Unlike the box backpack, the classic has RAREFORM’s signature billboard material covering the whole front side of the pack. Not only are these bags made with durable and unique fabric, but they have added an exterior pocket lined with faux fur for more fragile goods like your sunglasses or iPhone. This pack also includes a soft quilted sleeve for up to 15” laptops and mesh organizer pockets to keep all your essentials neat and within reach. The back panel is composed of padded air mesh for comfort and style. These top-quality backpacks range from $50 to $65 and are well worth it! No two bags are alike so you’ll never have to run into someone again that has the same bag as you. These designs offer you the ability to carry personal items across a board variety of pursuits and activities. With Christmas around the corner, these backpacks make for the perfect holiday gift! Whether you’re traveling, going to school, or simply want something stylish to hold your stuff, give these backpacks a try, you won’t be disappointed. RAREFORM offers affiliate partners 10% commission with a 90 day cookie. All outdoor, eco-friendly, and upcycle related sites are encouraged to join the RAREFORM affiliate program in AvantLink. Affiliate partners can sign up directly through AvantLink. Contact affiliate marketing agency, Versa Marketing, for more information.